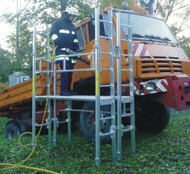 We have several types of Platforms for Emergency rescue work and none rescue. 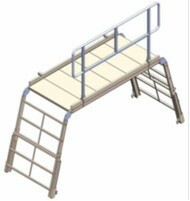 Rescue Platforms: Several types and heights of working platform, for Rescue and Industrial use. Scaffold Towers Of varying sizes and load capacities. Alloy Structures and frames: We can design and build bespoke; Towers, Support frames and Structures. 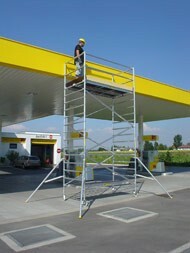 The scaffold towers are available in a wide variety of sizes: Various, Widths and Lengths, with Heights from 4m to 17m. 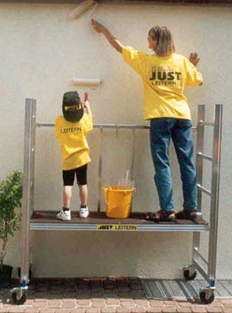 And can be manufactured to specific design requirements. We can design, manufacture and assemble on site any type of bespoke structure, for example: Access, Walkways, Safety Frames and Bespoke internal structures. Our designers specialise in solving difficult construction projects. Contact us for full details on all our range of products.